Sell, Recycle or Donate? What to do with an Old Breast Pump? Breast pumps are a necessity whether you breastfeed your baby or pump and serve in a bottle. But, what do you do with an old, used breast pump? Can I not throw them in the trash and call it a day? Our landfills are brimming with all sorts of nasty plastics, and we don’t have to add any more to it. Moreover, throwing any kinds of electronics in the garbage is hazardous. Electronics contain heavy metals and plastics that can leach into the ecosystem and corrupt our land and water supplies. Toxic chemicals can be released into the air when they are burnt. Now that you know that you can’t toss your breast pump in the garbage, what else can you do with an old breast pump? Babies cost a lot of money. I am all for if you can sell some used stuff and recoup some of the money. Just like you sell any used stuff, you can try selling your used pump online in local buy/sell sites like Craiglist, Varage Sale or Kijiji. Nevertheless, selling a breast pump is not as easy as selling any other baby gear items. There are a few things that you need to be aware of. A ‘Closed’ breast pump is one where there is a distinct boundary between the pump mechanism ( or the motor) and the pump collection kit. Closed systems are considered safe as breastmilk particles do not contaminate the tubings or the motor. In an open system, there is no partition between the tubings and the pump. Hence, there is a risk that breast milk can get into the motor. Since the motor cannot be sanitized thoroughly, this can cause infection or mold growth. In short, closed pumps are the only ones that can be resold. Open breast pumps can be only used by a single user and cannot be re-sold. For this reason, many parents opt to buy a closed system to start with so that they don’t have to deal with this disadvantage when it comes to reselling their pump. 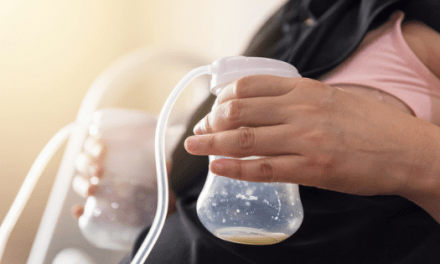 Just like open system breast pumps, any pump parts that came in contact with breast milk should not be used by multiple users for sanitary reasons. Some parents are very concerned about this factor, that they will buy a used closed pump and replace all the old pump parts with a new one. It is, therefore, important that the pump parts are readily available in the market. Unless your pump is a super old pump, you won’t have any problem. And, since most of them will buy their own set of accessories like flanges, tubings, bottles don;t expect to make much money on your used pump. If you have tried selling your old pump with no luck, then donation can be the next best thing to do. Breast pumps are very expensive, and there are many mamas out there who desperately need a good pump but can’t afford to get one. You can get in touch the local charity groups to see if there is a mama you can help out. Make sure that your breast pump is cleansed and good to go. Also, for medical reasons, only donate a closed breast pump because of the safety issues discussed above. Most charity organizations won’t even accept an open pump. If donating locally didn’t work, there are a few online breast pump donation programs you can reach out to. The ultimate goal of Chance to Choose is to provide breast pumps for all moms in need to foster a healthy and successful breastfeeding relationship. The idea behind the program is to encourage moms to trade in or donate used pump and get a discount to buy a new pump. You can trade your basic pump and upgrade to a better one with a discounted price. Sign up here, trade in your old pump, order a new pump on a special price. Once you receive your new pump, ship in your old pump using the pre-paid shipping label. If nothing else works for you, the last resort is to recycle your old pump parts properly. As I briefly mentioned above, breast pumps, especially the motor should not reach the landfill. There are a lot of environmental hazards when electronics ( like pump motor) ends up in the landfill. Electronics emit chemicals and other undesired toxic that is very harmful to the land. It also corrupts the underground water and can be life-threatening to aqua species when these chemicals enter the ocean. It is great to see many brands taking the initiative to encourage breast pump recycling. Medela and Hygiea have their own recycling programs that collect used pumps and recycles effectively. Don’t worry if your manufacturer doesn’t have a recycling program. Recycling your breast pump is very easy and can be done in any of your local electronic recycling places. If you are in Canada, look for Recycle My Electronics drop-off locations near you. If in the US, check out PC – Recycle. Please note that only the breast pump motor and adapter are electronic devices and only those can be recycled via an electronic recycling program. Other parts like flange, bottles, breast shields, connectors can be recycled using your regular recycling bin. Also note that any soft parts like valves, tubes, etc., cannot be recycled and should be trashed. 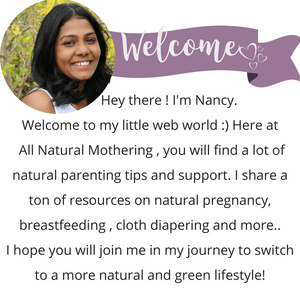 Now you got your answers to all your questions about disposing of your old breast pump. Sell your pump and make some money or donate and be a blessing to another mama. If nothing goes, please find a local electronic recycling program to recycle your pump motor and adapter properly. 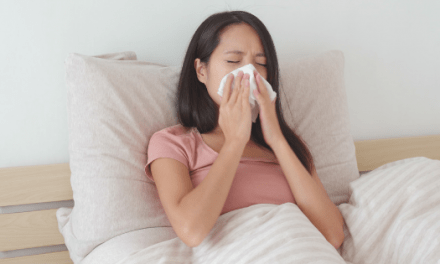 PreviousBreastfeeding through Cold and Flu.